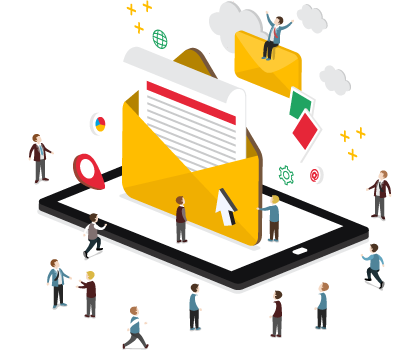 Leading Email emarketing company in Sri Lanka with cost-effective emarketing plans for any kind of company in all over the world. Email marketing is a one of an advertising media to promote your business, product or brand awareness locally or globally. It is very cost effective method, faster and most efficient method to reach more audience in seconds. This is the only way to make new clients at instant and retain existing clients for a long term business and increse your sales and profit. Email marketing provides the opportunity to deliver your message directly to the customer in few seconds. Cyberexpert web design Sri Lanka offer the highest quality Email marketing services for any businesses with affordable way. So we are a best Email marketing services in Sri Lanka. Copyright © 2015 - 2018 | cyberexpert.lk. All rights reserved.